The school building is an epitome of architectural dexterity and speaks volumes of the aesthetic appeal. The splendid and imposing main building, painted in white color, stands out on the western side of the estate. 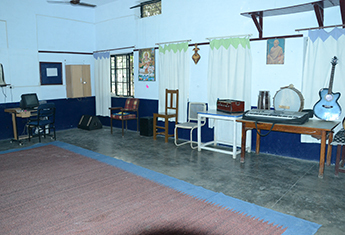 There are also rooms for various activities, and a well maintained games field. 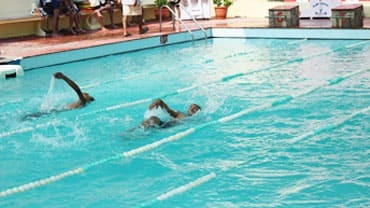 The swimming pool at Alma Mater is 25*10 mtr. & the school boasts of the first institution having a swimming pool. Classrooms are properly ventilated, well-lit & spacious. 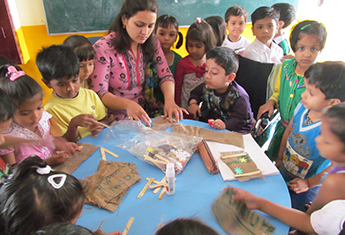 Specially designed box tables & chairs, a set each for every child is provided in the classrooms. 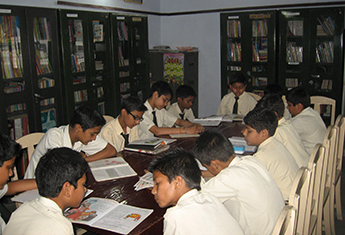 An extensive library has been painstakingly developed & boasts of a wide collection of books, educational CDs & projections. The science laboratories are well equipped with audiovisual teaching aids, learning kits & state of the art apparatus for conducting experiments. The School gives great importance to physical fitness & uses both the ancient system of Yoga & the modern system of Aerobics & Gymnastics. The School also prides itself in having one of the finest teams in Judo / Karate & Taekwondo. 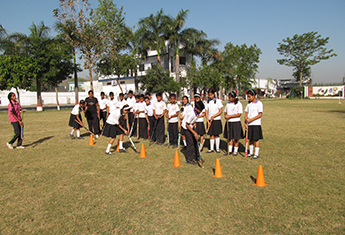 The School runs a unique fitness programme which entails postural diagnosis, rectification of defects & building up strength, speed, flexibility & neuro co-ordination. 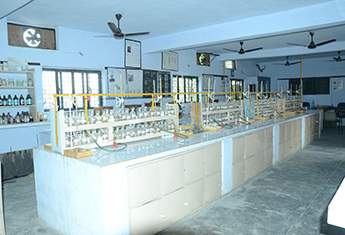 The School has 20 * 50 sq ft each well maintained Chemistry, Physics & Biology labs. PGTs & lab assistants & attendants take utmost care in conducting relevant practicals. Besides, Mathematics & Social Science Laboratories have also been developed. PS: Language laboratory has also been established. Two well equipped computer laboratories one each for Primary and Senior Secondary with one computer per student have been developed. Comfortable seating arrangement for every student. Teachers and Instructors give individual attention to every student. A large low table surrounded by benches all around provides comfortable seating to the students in the Art Room. Facilities are available for them to learn various arts and crafts, painting, drawing, batik, tie and dye, photography, printing (block / roller/screen), knitting, embroidery.